Once your horse reaches British Dressage elementary level, you are permitted to use a double bridle. 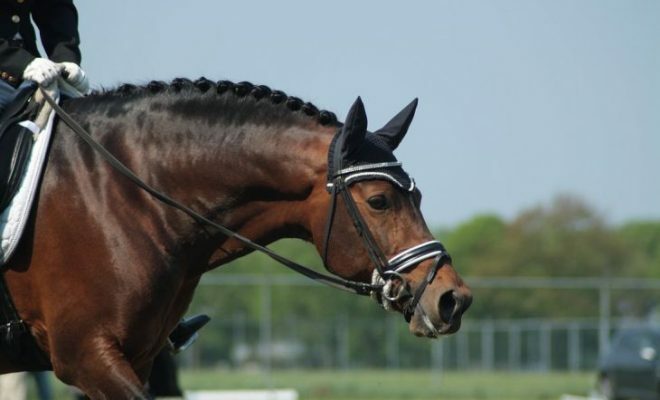 It is now compulsory for riders competing at Prix St Georges level or higher in FEI International tests to use a double bridle, although at a national level, a snaffle is still allowed. Unfortunately, many inexperienced riders see the double bridle as a shortcut to getting their horse ‘in an outline’ and erroneously use it to slow the horse’s canter in order to negotiate the smaller circles and direct downward transitions demanded from elementary level upwards. 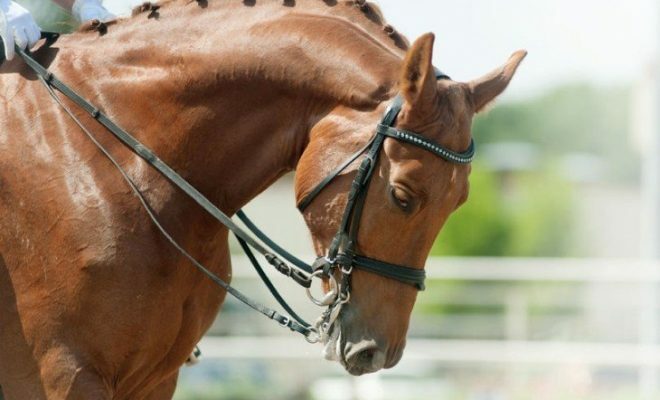 So, when should you introduce your horse to a double bridle and how do you use one? When are the horse and rider ready to use a double bridle? The horse is ready to wear a double bridle only when he is trained to go consistently into the contact and is capable of being ridden in good carriage and balance. The rider is ready to use a double bridle when they have a well balanced and supple seat and are completely independent of the reins. 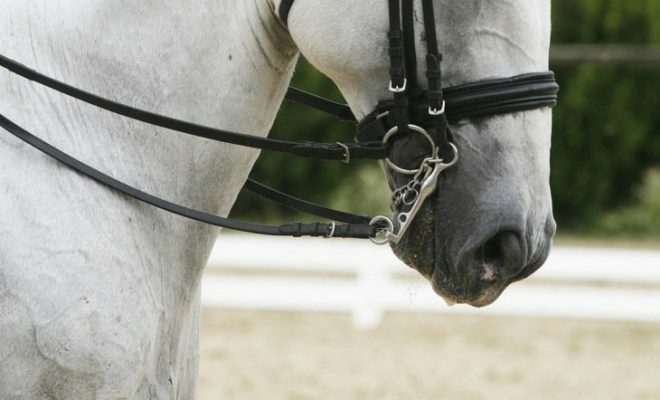 The bridle-work should fit in the same way as a snaffle bridle. The bradoon bit, which is a snaffle should be fitted in the same way, although it may have smaller rings so as not to be too cumbersome. The bradoon acts on the tongue, bars of the mouth, and lips of the lower jaw and is the main rein for regulating, guiding or restraining the horse. The curb bit should be of the correct width, type, and proportion and should lie just below the bradoon in the mouth. The mouthpiece of the curb can be 0.5 cm shorter than the bradoon, as the bradoon lies slightly bent in the mouth due to its joint or joints. If the horse has fleshy lips, the curb can be slightly wider still. The action of the curb is influenced by the upward bend in the center, i.e. the port. The higher the port, the more it permits the tongue to move into it and consequently the more the sides of the mouthpiece act on the bars of the mouth. The links of the curb chain should be twisted to the right to form a flat, supple and strong bearing surface and should come into contact with the chin groove when the shank of the curb bit is rotated to 45os. There are a few ways to hold the double reins, but the simplest and most effective method is where the rider holds the bradoon rein as if it were the rein of a snaffle bridle, that is between the ring and little fingers. In this manner, there is the least upset to the trained aiding mechanisms of the rider’s hands and reactions. The curb rein comes inside the hand and under the middle fingers. The thumb lies on the bradoon, which then lies over the middle of the index finger. The double bridle may enable the rider to develop the containment of the power (collection) and elevation and grace (self-carriage) through the use of light and subtle rein aids, provided that the horse understands the forward driving and restraining aids. The severity of the bridle depends on the lengths of the cheek pieces, the height of the port, and the tightness of the curb chain. The temperament, hands, and education of the rider are also very important! Impatient riders who fit one onto a young horse risk big problems such as tongue issues, the horse not confident to go forward, crookedness, and resistances. In the dressage test, the judge does not want to see curb bits that are parallel to the ground and with very strong curb reins. The curb rein should have the lighter tension of the two reins. If the horse has an underdeveloped balance, is on the forehand, and has the mouth open with a horizontal curb, this is only worthy of a low mark for submission. To save this inelegant look, it is worth keeping the horse in a snaffle bridle and trying to bring the horse’s balance further onto the hind legs, before introducing him to the double bridle. 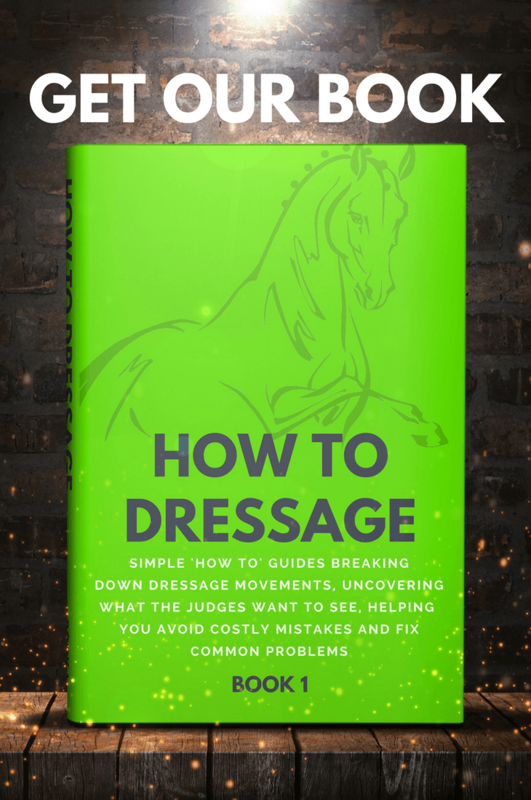 There is no more pleasing sight for the dressage judge and spectator than an elegant horse and rider combination, working confidently in the double bridle. 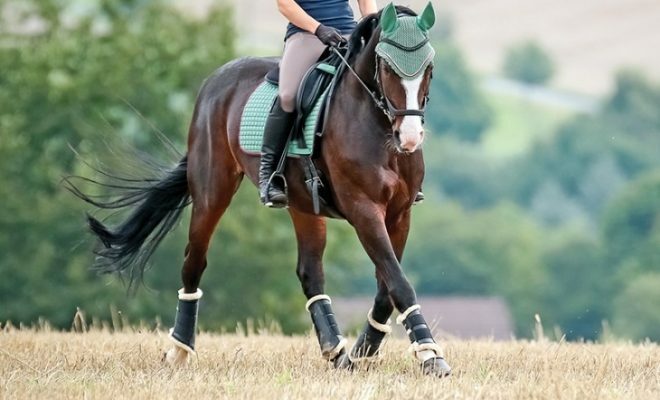 If the horse is securely working forward into the rider’s hands in a simple snaffle bridle, and the rider is able to allow him to go forward in a good balance, it is time to consider introducing the horse to the double bridle. However, riders should remember that the double bridle is not a mandatory requirement unless they reach international level. If the horse is working correctly and happily in a simple snaffle, it may be prudent to leave him be; in essence, ‘if something ain’t broke – don’t try to fix it’! How Much Contact Should You Have? What is the Difference Between Bend and Flexion? 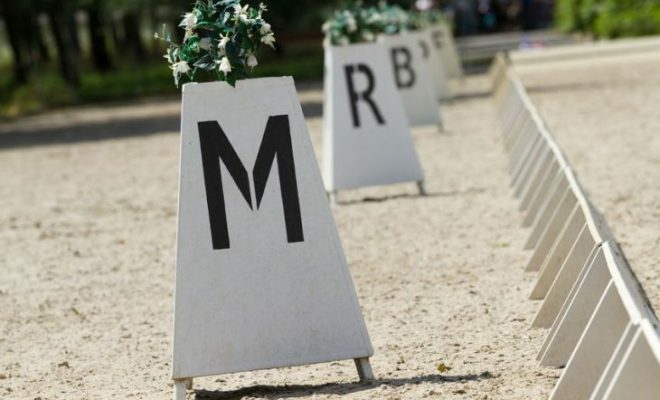 Where do the Dressage Arena Letters Originate From?